Today’s collective gasp at the frothy valuations and pace of mobile transformation in the Internet business comes courtesy of Facebook (FB). 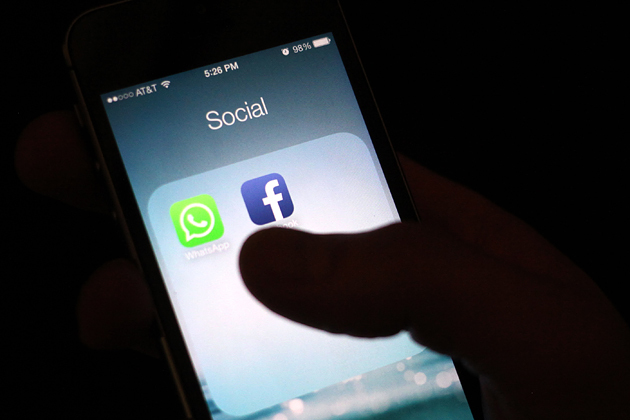 The social network announced after the close of the market on Wednesday that it has acquired mobile messaging service WhatsApp for $19 billion. Yes, the price is $19 billion: $4 billion in cash, about $12 billion in Facebook stock, and $3 billion in restricted shares, to pay out to WhatsApp employees over the next four years. For a five-year-old company with 50 employees, that translates into $380 million per person—and a heck of a haul for the startup’s venture investors, led by Sequoia Capital. WhatsApp founder Jan Koum, a former Yahoo! (YHOO) employee, will join Facebook’s board of directors. WhatsApp makes a popular smartphone application that allows users of various devices, such as iPhones, BlackBerrys (BBRY), and phones running Android, to send texts and photographs seamlessly and without paying the additional fees carriers charge for SMS messages. (It’s free to use for the first year, then costs just a dollar a year.) According to Facebook, the service has 450 million active users on any given day and is on track to connect 1 billion people. Facebook says that WhatsApp, like Instagram, will remain largely independent from the social network. The acquisition positions the company for even stronger growth on mobile phones, where advertising now makes up the majority of its revenue. It also strengthens its toehold in China: Facebook is blocked in the world’s largest Internet market; WhatsApp and Instagram are permitted to operate there. Zuckerberg telegraphed his intentions to make these kinds of acquisitions during an interview in January for a Bloomberg Businessweek cover story. He revealed that he was pursuing a portfolio strategy, where apps could stand apart from the main social network and users would not be required to log in with their Facebook credentials. “We just think that there are all these different ways that people want to share, and that compressing them all into a single blue app is not the right format of the future,” Zuckerberg said in January. Source — Bloomberg Business week!